Five years ago, Q2 had 240 servers. Today it has 8,500 servers. The company spent $150 million over the last five years building out its infrastructure, where it now hosts more than 4 petabytes of user data. “We’ve grown from 1.2 million users to 11.5 million users and reduced downtime to one-fifth of what it was during that same period,” says Lou Senko, CIO of Q2, which provides a digital banking platform for banks and credit unions. As Q2 has strengthen its tooling arsenal, it also has changed how it views monitoring and troubleshooting. To take the place of its network operations center (NOC), Q2 built an integrated operations center (IOC). The shift to an IOC brought together more skilled personnel working on more complex issues. 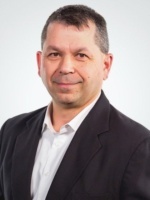 When Q2 ran a NOC, issues were often escalated outside the NOC to a DBA or network pro or server team, The IOC brings together all those experts, so that the people who are solving the problem are working alongside the teams that are responding to alerts and monitoring, Senko says.